Why every seller who wants to sell this Spring should list NOW! January starts the year strong! 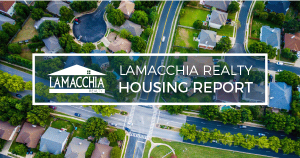 The Lamacchia Housing Report presents overall home sale statistics and highlights the average sale prices for single-family homes, condominiums, and multi-family homes in Massachusetts and Southern New Hampshire for January 2016 compared to January 2015. It also looks at other metrics like Homes Listed and Pending, as they are often the best indicators for predicting future trends in the market. 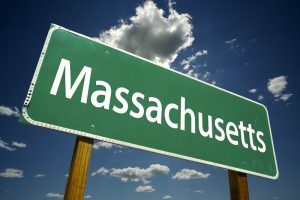 Overall home sales in Massachusetts were up over 28% compared to January 2015. There were a total of 5,292 homes sold in January 2016 compared to 4,120 in 2015. This is the eighth month in a row of increased home sales and the second month in a row of a double digit increase after December was up 18%. Many of these January sales would have closed in December if not for the new TRID Know Before You Owe guidelines that went into effect on October 3rd. This has caused many brokers to schedule longer closing dates and it is something we noticed in early November when most closings were being scheduled for January as opposed to December. The average price for all homes, including single-families, condos, and multi-families, increased 6%, from $370,303 in 2015 to $392,833 in 2015. The largest average price increase was seen in the single family home category – rising just over 12% from $401,330 in January of 2015 to $449,707 in 2016. The category with the largest increase in number of sales was also the only category to have a decrease in average price: multi-family homes. Sales were up 34%, rising from 402 in 2015 to 540 in 2016, while average price was down 6%, falling from $403,474 to $378,303. We do not see this as an upcoming trend for multi-families it is likely just a fluke since it is only a comparison of one month. There were 691 homes sold compared to 572 sales in January of 2015. All categories increased in number of sales, though the increases varied widely. 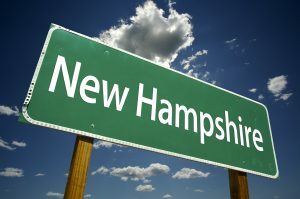 Overall, Southern New Hampshire saw an increase of 21% in number of sales – but while multi’s saw a 72% increase (29 to 50 homes sold), condos only saw a 1% increase (163 to 164 homes sold). This is after a very strong 2015 for Southern New Hampshire. Average prices, however, fell in all categories, and overall were down just under 17%. Condos fell the furthest from 2015 to 2016, going from $290,195 to $207,067, a drop of 29%. There were 6,130 homes listed for sale in Massachusetts in January 2016 compared to 5,595 in January 2015. This represents over a 10% increase. There were 5,983 homes that went pending in January 2016 in MLSPIN compared to 5,180 in January 2015, which represents a just-under 16% increase. This almost double percentage increase explains why inventory of homes for sale has decreased every week since the beginning of the year. This excessively low inventory presents a wonderful time for home sellers to sell their homes. As explained in our 2015 Housing Report we expect this year to be the biggest year for home sales since 2006. This year has started off far busier than last year not only with sales but homes listed and pending and every sign points to it continuing throughout the year. Interest rates are at two year lows, mortgage guidelines have loosened up and buyer demand is stronger than it’s been in over a decade. To get a FREE Home Selling Consultation, Click Here. Data provided by Warren Group & MLS PIN and compared to prior year.